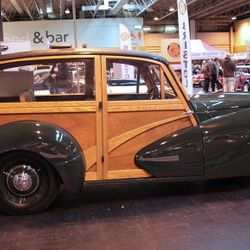 Welcome to Classic Chatter the website for Classic Vehicle enthusiasts, Set up in 2010 we have come a long way. When we began, our Events Guide listed just 40 events by the Spring of 2014 that has risen to over 700, we now include not just Shows but also Classic Car Tours and European events. With the support of some of the the UK's biggest businesses we have this year included a news blog & are expanding our link sections and will be re-launching our Backward Glance section with various articles from our ever growing archive. So please have a look around, and if you know of any events we don't know about let us have the details, we would also like your restoration stories, in fact anything vehicle related you'd like to share. You can click the icons above to visit our Flickr, Blog & Facebook pages.